Jodeci was a boy band that sung songs that made you dance and blush at the same time. I miss this type of music, and I know you do, too. 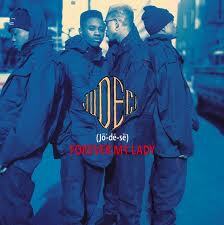 Buy Forever My Lady by Jodeci by clicking here on the link. Posted on February 16, 2014, in Music and tagged Everything Is Everything, good music, Lauryn Hill, Music, music for the soul, Music video. Bookmark the permalink. Leave a comment.